Ah, the never-ending battle to find that holy grail neutral eyeshadow palette. It feels like brands are constantly coming out with palette after palette, hoping that it becomes the new big obsession and beats out old favorites. 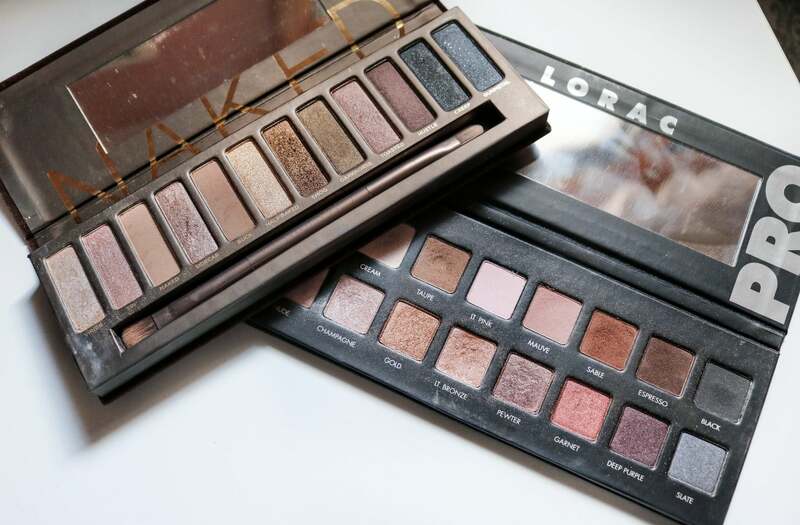 While some of those aforementioned new palettes are strong contenders, I felt inspired to go back and compare the two eyeshadow palettes that arguably started this whole trend: the Urban Decay Naked palette and the Lorac Pro palette. 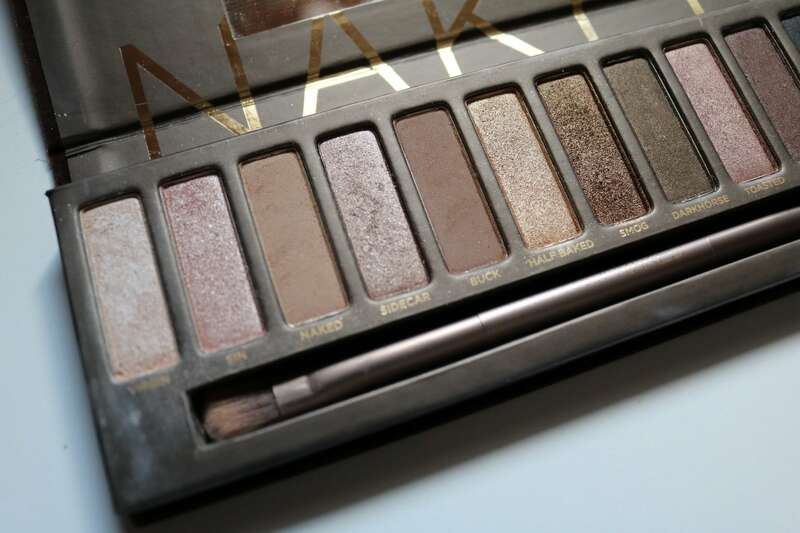 Urban Decay is well-known for their outstanding shadow quality, and the Urban Decay Naked palette is no exception. Each shadow is smooth and blends well on the eyes. 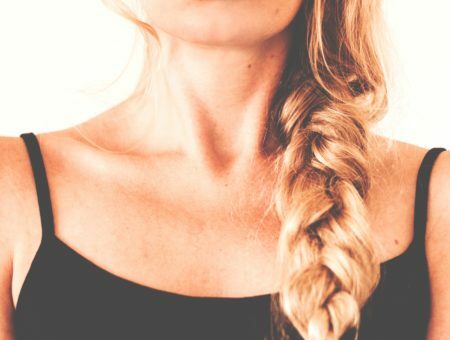 The shade range covers pretty much every neutral tone, from light neutrals to deeper browns and blacks. 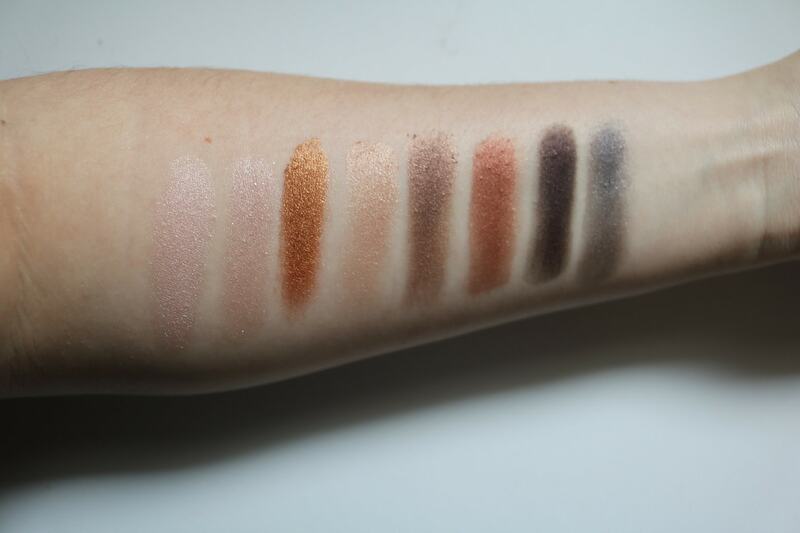 Some standout shades from the palette are Virgin, Sin, Sidecar, Half Baked, Smog, and Toasted. Below are the pros and cons of the palette (in comparison to the Lorac Pro) that stood out the most to me. All the shades were fantastic, but I was disappointed with the two darkest shades (Creep and Gunmetal). They weren’t as pigmented and were slightly chalky when swatched. Even though I swatched over them two or three times, they still didn’t look as intense as I wanted. The colors are still usable, but it was disappointing to see this quality in an expensive palette. All in all, the Naked palette has everything covered on all fronts. 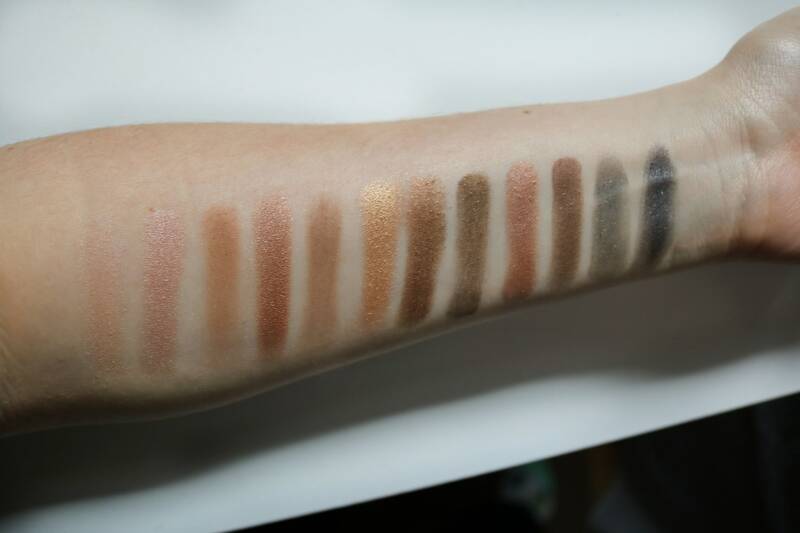 The shadows have great quality, there’s a beautiful variety of colors to pick from, and it’s an easy palette for a person of any makeup experience to use. This one gets two thumbs up from me. 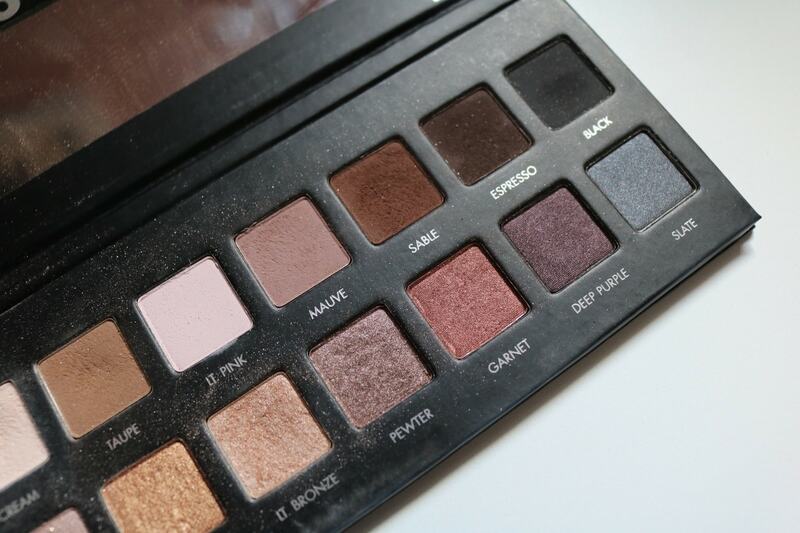 A standout feature of the Lorac Pro palette is the exceptional eyeshadow quality. These shadows are highly pigmented, feel super smooth, and blend easily. The Pro palette covers a great range of super light to super dark neutrals and also includes a few “fun” colors, like garnet red and deep plum. Some noteworthy shades in the palette are Champagne, Taupe, Light Bronze, Pewter, Sable, Garnet, and Espresso. 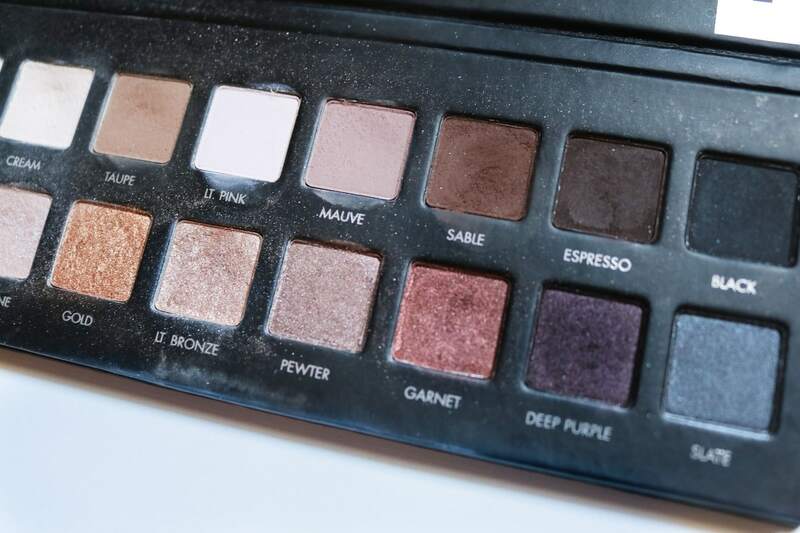 Here are a few of the pros and cons of the Lorac Pro palette (in comparison to the Urban Decay Naked palette) that stood out the most. I had similar trouble with the two darkest shades of this palette (Black and Slate). 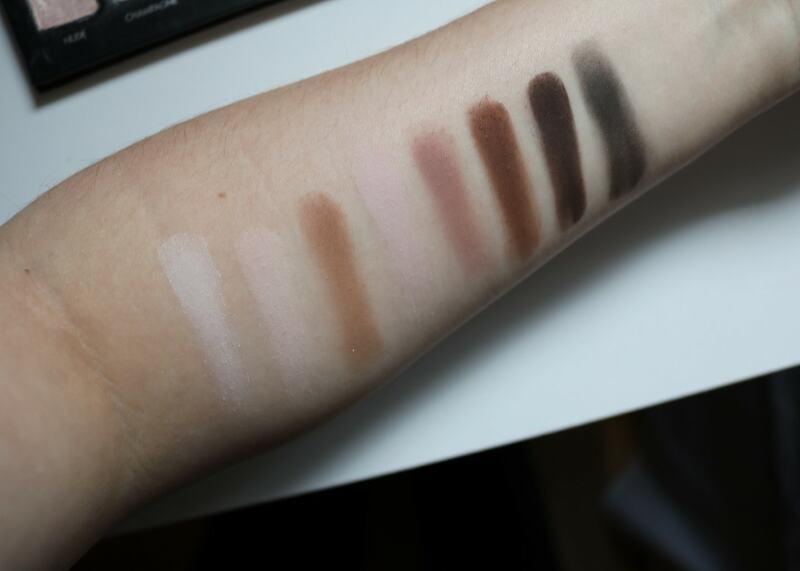 These were streaky and uneven when first swatched, but I managed to even them out with a second layer of shadow. 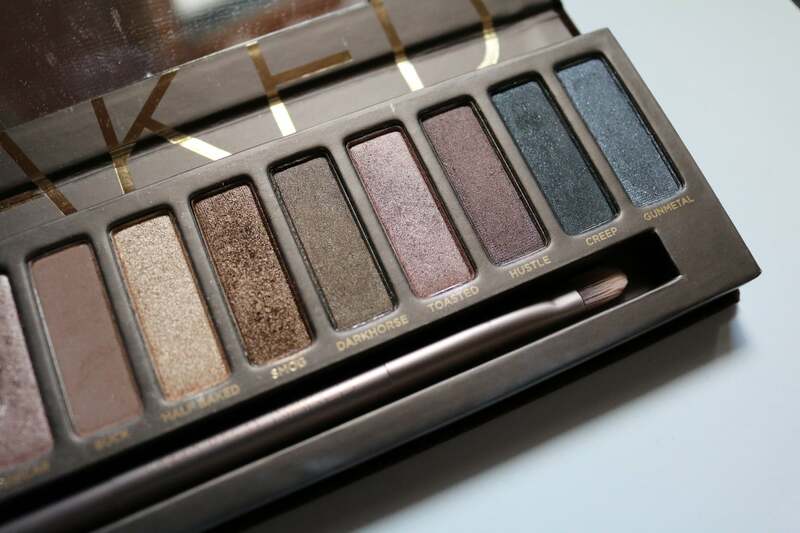 Overall, I think this palette is a great staple for any makeup collection. While the Urban Decay brand appeals more to college students like me, the Lorac Pro catches my eye just as much. 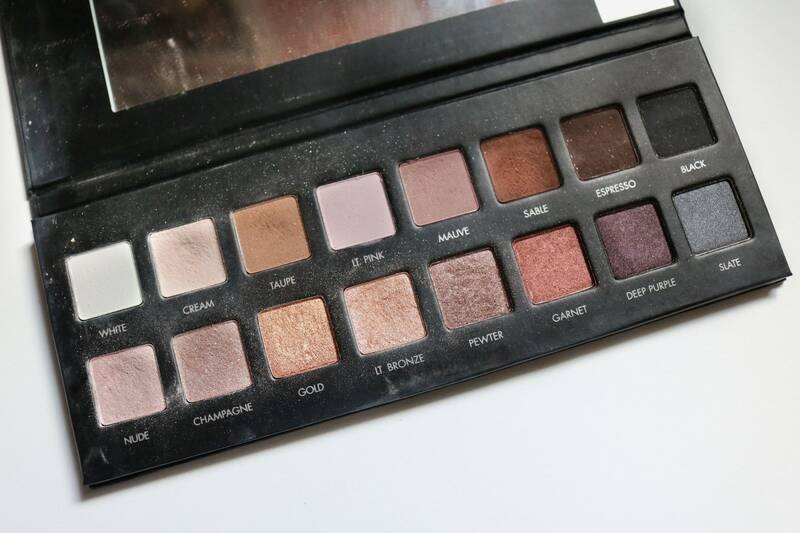 Yet again, this palette gets a two thumbs up from me. Which Palette is the Winner? Honestly, and this sounds like a cop-out, I feel like these palettes come out equal on nearly every front. 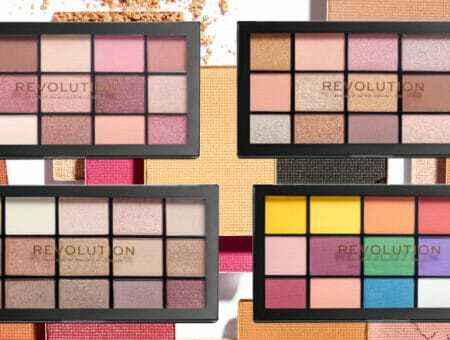 Each palette has its pros and cons, so it falls on you to sort through both palettes and decide which one suits you the most. Ask yourself: Which has the shades you’d use more often? 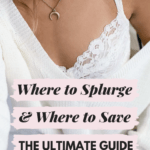 If the price difference is a major factor for you, which will get you the most value for your money? 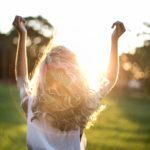 These questions will help you decide. 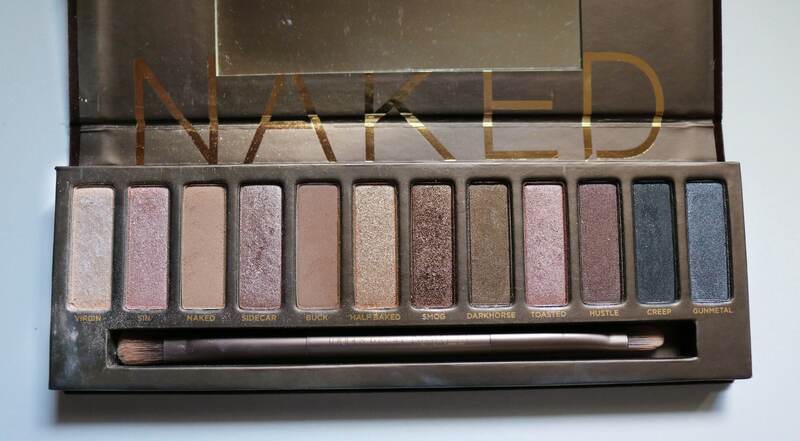 In the end, the Urban Decay Naked and Lorac Pro are both exceptional palettes and either one would make a fantastic addition to your makeup collection. Which palette do you like better? 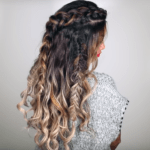 Do you passionately feel like one of these palettes totally beats out the other? Let us know in the comments below!